Since noone involved was ever quite satisfied with how The Song Remains The Same came out, I can remember reading stories about Jimmy Page wanting to put out another Led Zeppelin live album as far back as the early 1980s. In fact, I seem to remember that it was going to be a monster three-disc (at least!) set that would be culled from performances from their whole career. 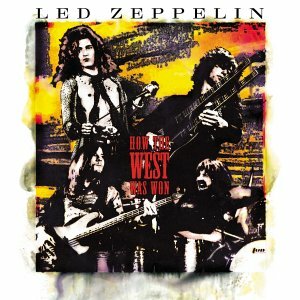 But, of course, things moved slow in Zepland after John Bonham died, and — after countless bootlegs — in 2003 they put out How The West Was Won, culled from a couple of nights in 1972 from Los Angeles & Long Beach, and left the career-spanning retrospective to the live DVD they simultaneously issued.